Keeway Motorcycles Tips & Tricks! All you need to know about your Keeway Motorcycle! To main page, click here. Hi, and welcome to my Keeway Motorcycles Blog. My experience with this brand is short, and mostly pleasent. 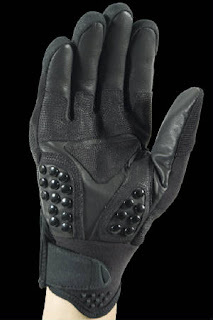 This make has come to take over the motorcycle market around the world, with 50 countries selling it. I own the Superlight Custom model, and it's like a mini-chopper Harley style. With a 150 cc engine, doesn't run as fast as you could wish, but fair enough to ride safely and do the job saving time on rush hour, which is the main reason I bought it. The second reason was the price. In a country where a well known brand motorcycle like BMW, Triumph, or Harley can cost like 20000+$, this cheap model was (4 months ago), like 1250$ brand new. Actually the price is around 2900$ due to inflation and other reasons. Don't get me wrong. I'm not trying to compare it with famous brands since it is in the early stages of commercialization. I think that there's a big road ahead this brand to ride and show that they want to become a world known brand not just for the price, but for the quality instead. I really hope so. For those enthusiasts of 2 wheel-riding, with a tight budget, welcome to Keeway. My suggestion is that, before buying, check for local dealers with plenty of spares to make sure you'll keep you 2-wheeler running. OK , so you are ready to learn to ride a motorcycle. If you plan to try and learn on your own put your safety first. You will be taking small steps at a time until you acquire the skills to ride. DO NOT ATTEMPT TO LEARN ON THE HIWAY ! !This is not the place to learn, you should find a empty parking lot or a open field. Never attempt to learn to ride a motorcycle on a public road. The first thing you need to do is familiarize yourself with all of the controls and learn what they do. After doing that, you need to sit in the seat make sure you can reach all the controls. 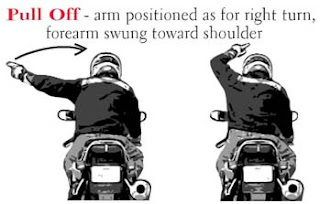 Make adjustments to the mirrors, adjust handlebars this can be done by loosening four bolts on the risers. OK! Stand the bike up and let up the kick stand, feel the balance of the bike. Next we are going to let the stand back down and let the bike rest on the stand. We are now ready to start the bike. This next step will take a bit of practice. 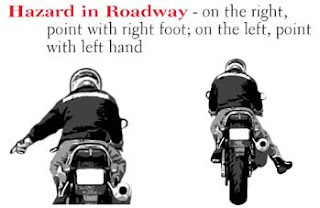 Put your foot on the rear brake slightly while releasing clutch slowly until it pulls the bike ease up on brake while giving it a little throttle until you are rolling. At this point ride slowly till you get a feel for riding. At this point I would like to point out you should never apply the front brake with the wheel turned. If you do you will fall. 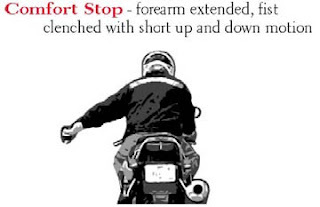 Learn to ride with a little pressure on the rear brake at slow speeds. We are now going to talk about the friction zone. This is between the clutch being released and engaged. You should practice riding in the friction zone. This best learned practicing the slow race which is riding at a very slow speed with out falling over. 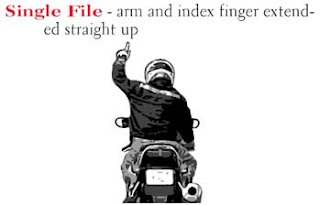 To start put the bike in first gear hold the rear brake while let out on clutch till it pulls now ease up on brake giving it enough gas to get rolling. 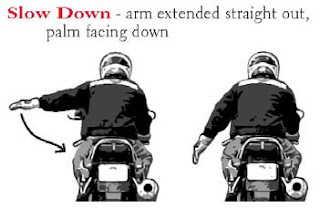 You should control your speed with the throttle and dragging the rear brake. Practice this until you feel comfortable. After you have that down start practicing turns. 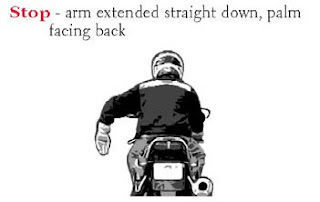 With a bit of practice you should be able to learn to ride a motorcycle. 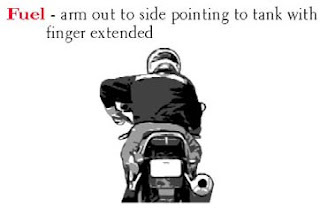 If you feel this more than you feel comfortable with check to see if the Motorcycle Safety foundation has classes in your area. Check you phone book or call your area tech schools. 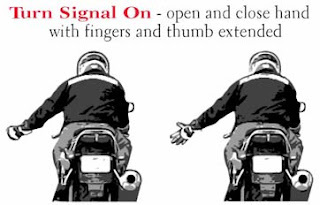 Motorcycle safety isn't a 'spectator sport', it requires constant vigilance and attention to not only other drivers, but road conditions as well. 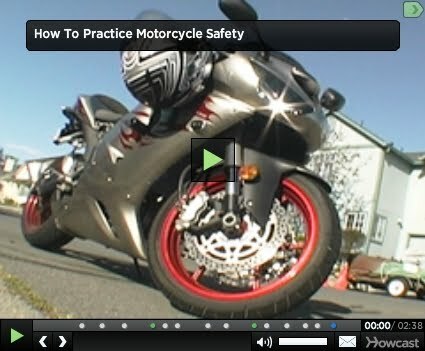 Even if you've taken private lessons or a good motorcycle safety course we can always learn something new. 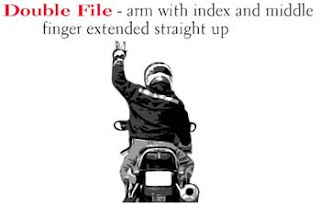 Here are some tips to ride safe because motorcycle safety could very well mean staying alive. 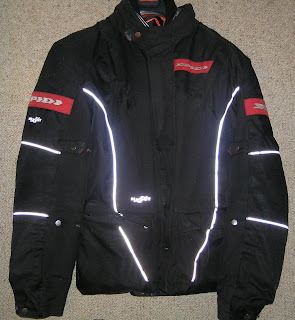 "All the gear - All the time" - Make sure you dress for the crash, not the ride. 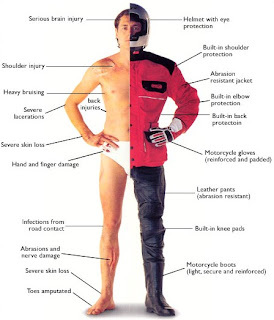 Wear appropriate gear!Always assume any fluid you see on the ground is slippery. Don't drink and drive, ever!.Look where you want to go - not at the pedestrians on the sidewalk. Never assume that a turn signal means a car is going to turn. Never assume the lack of a turn signal means a car isn't going to turn. Don't assume a car in a turn lane is going to turn.Turn off YOUR turn signal when you are done turning unless you want a car to turn in front of you. A pedestrian WILL cross your path when you are turning. Don't ride over wet manhole covers, gravel, wet leaves or crushed plastic water bottles while in a turn. Know your limitations - If you feel uncomfortable at your current speed you are going too fast!. Cover the brakes as you approach an intersection. Don't ride in a cars blindspot. Dont ride in a truck's blindspot. 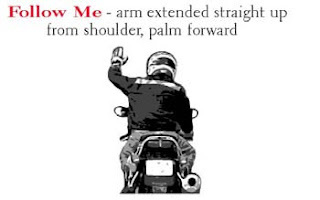 Always have an out - know what you are going to do in an emergency, whether swerve or brake. 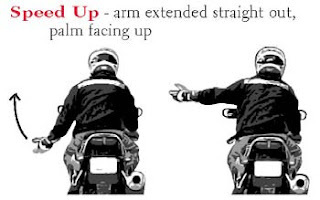 Learn how to swerve correctly - Body upright!. 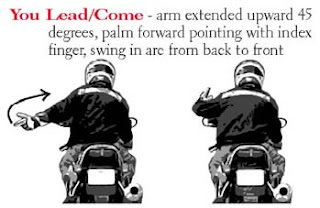 Many of these are common sense, but if any are a surprise to you then you should visit http://www.motorcycle-safety-gear.com for more motorcycle safety tips and additional information. Remember, it takes years of motorcycle riding to become a great, safe motorcycle rider, but only one second to become a statistic. How to change your own tires. Because any project that involves just you will save you money. If you buy mail order tyres at a bargain price, you’ll have to find the nearest tyre-fitting service, and nine times out of 10 you’ll be charged the earth to have another supplier’s tyres fitted to your rims. It can also save a lot of time and grief carting loose wheels somewhere, then having to wait for them to be done, or pick them up later. Don’t I need special kit? As a rule of thumb, bikes with small rim sizes – say up to three-inch front and four-inch rear – only need muscle power to ‘break the beading’. That is, to break the airtight seal between the tyre and the wheel’s rim wall. Larger rims obviously run with bigger, wider tyres, and ideally a hydraulic bead-breaking machine should be used for this job – not the sort of device you’d find in every biker’s garage. But, as you’ll read here, there are cheaper ways to get round this. What is required is a set of tyre levers that are suitable for the job and a tyre valve key (available from any car/bike spares shop) or pronged-type valve cap. Bicycle tyre levers aren’t man enough for the job. A half-decent set can be bought from a mail order firm for about £10 a pair – get friends to chip in, as levers are always in demand. Hard plastic rim protectors (£5 a pair) are a good investment too, as they prevent scratching the paint and the aluminium beneath. As for your own ability, muscle power isn’t everything. Like most things in life, first-time anticipation is more worrying than the event itself. Practice makes perfect, so we respectfully suggest practising on something like a Honda C50/70/90 wheel first. Bikes with wire-spoked wheels (generally trail bikes and small commuter bikes) more often than not run with tubes – as wire-spoked rims aren’t airtight unless the spokes are mounted outside of the rim (as on some BMW GS models). More bikes today have cast or forged aluminium wheels that run tubeless-type tyres and while the fitting of these and tubed tyres is similar, the addition of a tube makes fitting trickier – more care is needed as ‘nipping’ a tube with a tyre lever and putting a hole in it is easily done. 1. Deflate the tyre by depressing the valve before removing it fully with a valve key – high pressure in the tyre can cause the valve to fly out and disappear. If a tube is fitted, loosen the valve’s securing nut but do not remove, just unwind it to the top of the valve, so the tube can move away from the rim and won’t be trapped by a tyre lever. 2. Several methods can be used to ‘break’ the rim/tyre seal. On small-sized tyres, the heel of a boot placed on the tyre, as close to the rim as possible, and forced downwards to push the tyre into the rim’s well (centre) while pulling up on a spoke will suffice. Turn wheel over and repeat. Put down carpet or cardboard to prevent damage to rim or disc. 3. Breaking the beading in a vice is a cheap and safer alternative, and more suitable for larger tyres. With the jaws open to the max, place the wheel in the vice so the top of the jaws are within 5mm of the rim. Holding the wheel in place, slowly and carefully (to avoid marking the rim) tighten the vice until the seal is broken. Repeat for the other side. 4. For around £60, a purpose-made bead breaker is the safest and easiest way to break any tyre rim seal without damage. They come in a variety of styles, ranging from elaborate scissor-like mechanisms to over-sized G-clamps. What may seem an unnecessary expense can quickly be recouped from friends, or even at trackdays. 5. Place the wheel flat on the floor, preferably on a mat to avoid any damage. With both hands either side of the tyre, squeeze hard to help the tyre drop in to the ‘well’ (middle) of the wheel. This makes fitting a tyre lever and removal of the tyre a lot easier – you won’t be trying to stretch the tyre off the rim. 7. …Remove the first lever and lift the tyre lip another 3-4ins further along from the second lever. Work the levers and protectors round the tyre until its lip is clear of the rim. Stand the wheel up and feed a lever from the opposite side under the tyre and through to the rim (with protector) and lift the lever to push the tyre off the rim. 8. Take the new tyre and paint some lubricant on to the outer lips of both sides of the tyre to aid fitting – especially when blowing the tyre up – so it butts on to the rim easily. Professional tyre services use ‘tyre soap’. If this is not available, use a thick, soapy solution of liquid hand soap and water. Swarfega can be used if applied liberally. 9. Ensure the tyre’s rotation of direction arrow (marked on sidewall) matches with the wheel’s (cast on rim). Slide, pull and push one side of the tyre on to the rim by placing the rim on to the lower part of the tyre, holding it in place with a foot and pushing the rim into the tyre from the bottom – lubricant, levers and protectors are a must. 10. With the wheel flat on the floor and the open side of the tyre facing up, carefully feed in the tube (if fittred). Blow it up slightly to assume its circular shape so it doesn’t get trapped between tyre and rim. Don’t screw down the valve-securing nut yet as you need some slack when fitting the last part of the tyre on the rim. 11. Starting at 180° from the valve, carefully start to lift the tyre lip over and on to the rim, alternating from left to right, so the last part of the lip to go in to the rim is at the valve. Try to keep the fitted lip (underside) in the rim’s well to make fitting easier. When lifting the last part over, push the tube valve back into the rim to prevent it being trapped. 12. Inflating the tyre requires a compressor. Garage forecourt pumps are fine. Keep inflating the tyre until the sidewalls seat on the rim (moulded lines on the tyre will be visible all the way round, near the rim, and at an even distance). Finally, reset the pressure. Don’t ride until the wheel has been balanced. Many people like to measure the circumference of their head and buy accordingly. My personal recommendation is to try on several to properly fit a helmet. The tape measure can be a bit decieving, sort of like other clothes. It makes sense to try on the clothes before you buy them, because the sizes are a bit different despite using the same measurements. The helmet should be snug on the head when it fits properly, with very little wiggle room.. Be sure to attach the straps while trying them out for both comfort and ease. 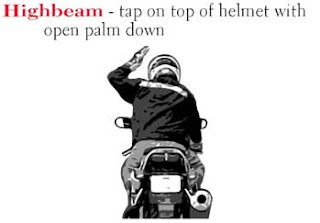 When the helmet is fully strapped on, try to move it back and forth without moving your head. If properly fit, your helmet will allow for almost no movement. When it's fairly snug, it's best. If buying a helmet for a youngster it is very tempting to buy a size too big to allow room for growth, even though it may not properly fit. While this makes perfect sense when buying a kid a pair of pants or a shirt, it doesn't with important safety equipment. A loose helmet can actually be more dangerous, and is not a proper fit. It is strongly recommended that you buy a DOT approved helmet in addition to making sure it's properly fit. These helmets must meet certain safety regulations. A bit more spendy yes, but you only have one brain. 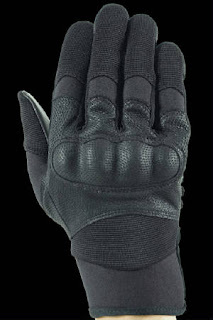 This is the single most important piece of safety equipment you can use for motorsports, so don't be too cheap. A properly fit helmet can save your life. Increase Superlight speed to 140Kph! Add this Blog to favorites?